While flipping through the new Pottery Barn magazine yesterday I came across their new framed card holder. It’s a lot like a great display idea I just saw on 6th Street Design School’s good design kids in mind series. 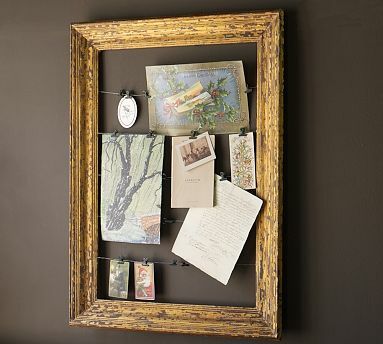 Which got me thinking…I (read- my husband) could easily make a diy version of this frame for a lot less. It would make a fabulous display for Lilly’s art, pretty invititations and cards, photos… I already have a spot chosen for it in my mudroom. Will keep you all posted. mmm love this. It might need to live in my house asap. thats very cute! You could find a nice picture frame and just take out the glass and back, or you could maybe replace it with a bulletin board so you can tack things right on!